•The 5500 Pro series rotors are constructed of high impact plastic and all internal metal par ts are made of stainless steel. • No tools are required to adjust the arc from 40° – 360° by using the easy to use Click-Set disc. • A full 4-inch pop-up clears tall turfgrass for even coverage. 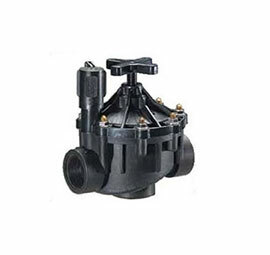 • Dual-direction flushing protects internal from debris and ensures positive down. • The Aurora® Satellite Controller delivers the ultimate in power, ease and value. • Aurora® is designed to function as a stand-alone controller or as a satellite in a network with or without a central computer. • No need to have software to operate; intelligent processors store data and operate independently of the network. • Available in several languages. ACDEC1 - Golf Satellite Controller • Enable and disable commands with delay timer • Semi-automatic, manual and automatic control. • Controller/satellite, program water budgeting • Open, Overload and shor t-circuit protection • Data por t for digital sensors • Generates alarms and status repor ts which can be transmitted to a user defined location and/or stored in the local alarm log • Manages multiple customized schedules/programs. • Simple proven design has few moving par ts. 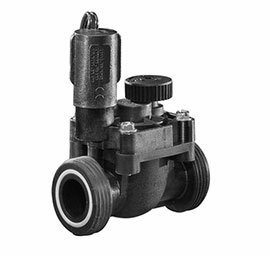 • Available with or without flow control. 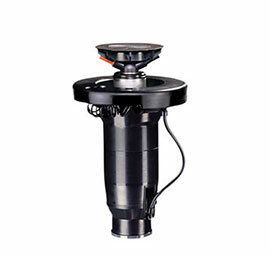 • Comes in 1” (25,4 mm) NPT, Slip or BSP versions. • Easy to operate internal manual bleed. • PVC construction makes gluing a snap with the slip configuration. 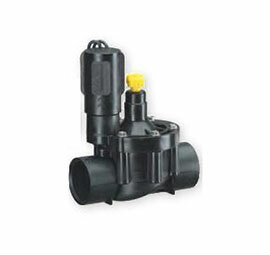 • ¾” (19,05 mm) & 1” (25,4 mm) EZ connect union valve makes installation and valve replacement a snap. • Heavy duty glass filled nylon construction. 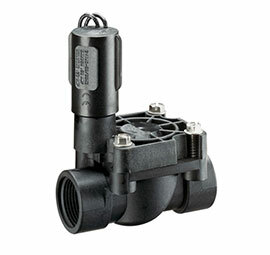 • Available with or without flow control. • Many ¾” (19,05 mm) and 1” (25,4 mm) fittings available: BSP female, BSP male, Barb, Slip, NPT Female and NPT male. 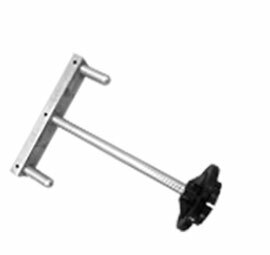 • Bayonet mounted bonnet for quick and easy servicing. 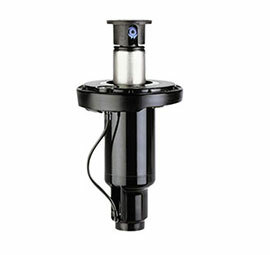 • 1½” (38,1 mm) and 2” (50, 8 mm) combination globe or angle valve. 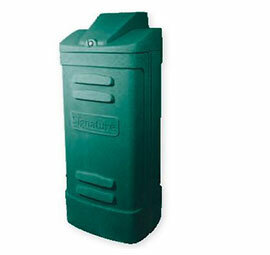 • Heavy duty glass filled nylon body with a PVC bonnet. • Eight stainless steel nuts grip into the bonnet to accommodate for extreme climatic fluctuations. 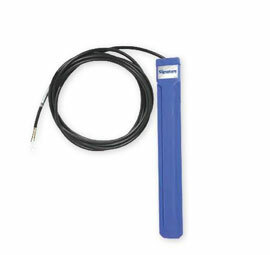 • 200 PSI (13,8 bar) rated for heavy duty applications. • Works with all Signature® Controllers. 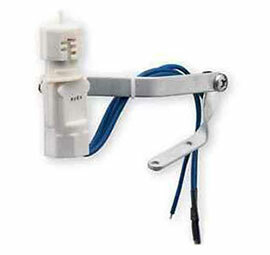 • Includes 25 ft (7,6 m) of 20 AWG two-conductor wire. • Maintenance-free patented sensing mechanism. • Automatically shuts off and star ts irrigation based on local parameters. • Easily installs on any Galaxy™ or Constellation® satellite. 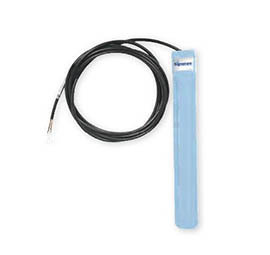 • Includes 10 ft (3 m) of 20 AWG two-conductor wire. 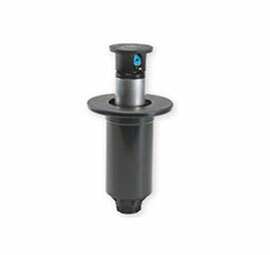 • Maintenance-free patented sensing mechanism. • Automatically shuts off and star ts irrigation based on local parameters. 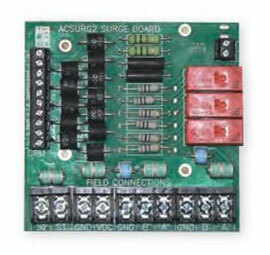 • Tough polycarbonate construction for direct burial • 4-20 mA Sensing board required (sold separately).